How do you spread happiness? Morgan Maxwell Anisman finds himself making a living off of doing it in the simplest way possible: being utterly himself. 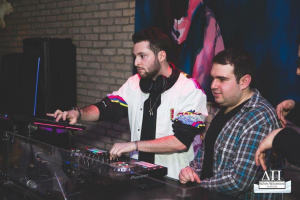 Morgan works as the Senior DJ and MC for Magen Boys Entertainment, providing services for Jewish events all over Canada. The more his own personality comes out in his work, the better response he gets from his clients. Interaction with people motivates Morgan to put on a great show. Every party is a new playground for him to meet people and bring joy into their lives. Every smile he sees is a measure of success. His magnetic energy and stage presence draw others to him and he knows he’s managed to add joy to others’ experience. Morgan Maxwell Anisman grew up in Toronto and recently graduated from the Rotman School of Business at The University of Toronto. 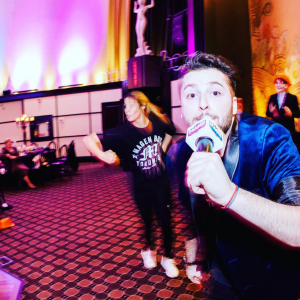 Throughout his undergraduate degree, he worked at Magen Boys Entertainment and now acts as a Senior DJ and MC for the company, as well as the Summer Tour Director. This coming year, he will be working as Senior DJ on Celebrity Eclipse cruise line for six months. He hopes to become an entertainment lawyer and continue to pursue his passion of helping people have a good time.